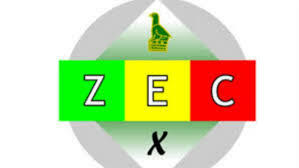 The Zimbabwe Electoral Commission (Zec) has deferred the local authority by-elections that were scheduled to be held this month in Chitungwiza and Bulawayo. In a statement, Zec said the by-elections in Chitungwiza’s ward 24 and Bulawayo’s ward 28 has been postponed as it is no longer feasible to conduct them freely and fairly due to unforeseen circumstances. Nominations for Bulawayo’s councillor will now be held on Friday, February 22 at the Municipal Building with the poll scheduled for March 30 if an election is deemed necessary. In Chitungwiza, the elections have been scheduled for February 23. “It is hereby notified in terms of section 132(1)(a) of the Electoral Act (Chapter 2:13) as follows that polling shall now take place in ward 24 of Chitungwiza Municipality on February 23, 2019 from 7:00am and 7:00pm for purposes of election of a councillor for the said ward.